Baseball season is in full swing and that means lots of roadtrips to major and minor league ballparks. Here is a picture of the very fine 1/2 lb. 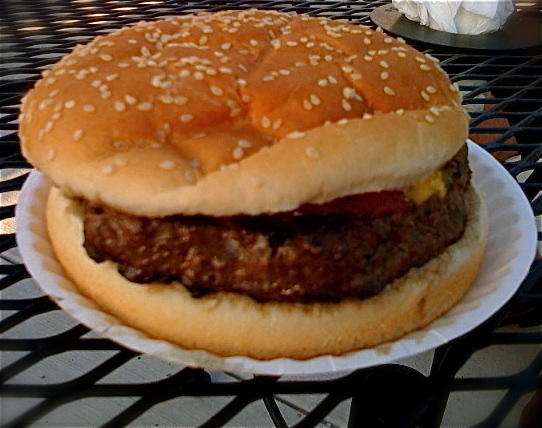 hamburger offered by the brand new Lehigh Valley IronPigs (Allentown, PA). 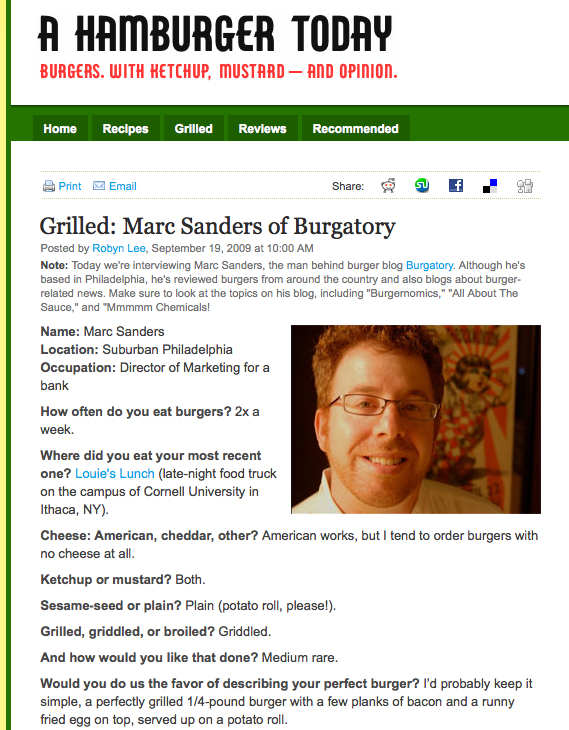 Bad name, decent burger. A true 1/2 lb. grilled at their “Blast Furnace” food stand (everything is themed to the local iron industry which is more history than modern day at this point). This burger no doubt started out as a frozen patty, but it holds its own. The bun leaves a lot to be desired (oddly not fresh even though we went the first week of the season). $5.75 for the burger, $6.00 with cheese. Look for more ballpark burgers as the summer goes on.